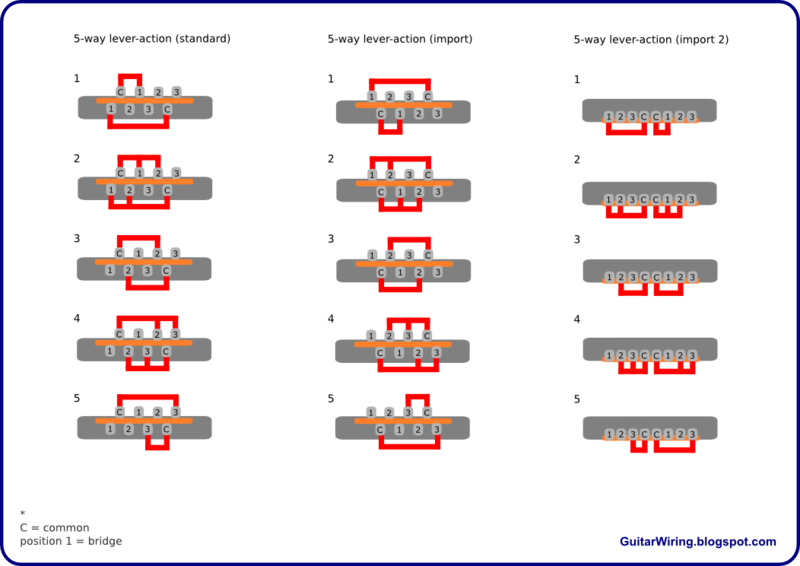 The diagram shows pin-out and terminal connections, according to toggle or lever positions. 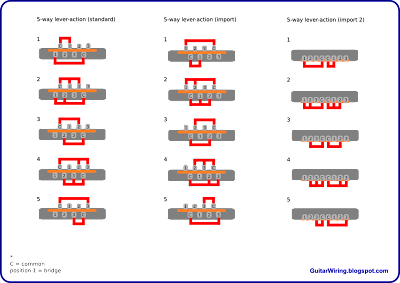 There are three examples of popular 5-way pickup selectors. They are frequently used in Stratocaster style and 'HSH pickup set' guitars.